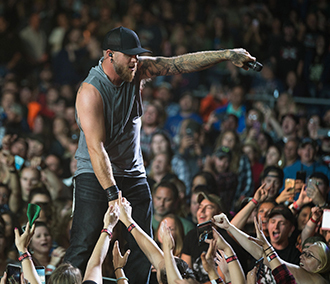 ENTER FOR A CHANCE TO WIN TWO TICKETS AND A MEET AND GREET WITH BRANTLEY GILBERT. NO PURCHASE NECESSARY. PURCHASES DO NOT INCREASE ODDS OF WINNING. Odds depend on number of eligible entries received. VOID WHERE PROHIBITED. Open to select legal residents of the Dallas - Fort Worth, Houston, Abilene – Sweetwater, Amarillo, El Paso, Lubbock, Odessa – Midland, San Angelo, Tyler - Longview (Lufkin & Nacogdoches), Shreveport, Texarkana, TX, Austin, TX, Beaumont - Port Arthur, Waco - Temple – Bryan, Corpus Christi, Harlingen - Weslaco - Brownsville – McAllen, Laredo, San Antonio, Victoria, Columbus - Tupelo - West Point, Greenwood – Greenville, Hattiesburg – Laurel, Jackson, MS, Jackson, TN, Little Rock - Pine Bluff, Memphis, Meridian, Nashville, Bowling Green, Fort Smith - Fayetteville - Springdale – Rogers, Jonesboro, Paducah - Cape Girardeau - Harrisburg - Mt Vernon, Kansas City, Omaha, Des Moines – Ames, Wichita, KS, Springfield, MO, Joplin – Pittsburg, Lincoln & Hastings – Kearney, Topeka, Sherman, TX - Ada, OK, Oklahoma City, Tulsa, Wichita Falls & Lawton, New Orleans, Baton Rouge, Lafayette, LA, Monroe - El Dorado, Lake Charles, Biloxi – Gulfport, Alexandria, LA, Saint Louis, Columbia - Jefferson City, Quincy - Hannibal – Keokuk and Ottumwa – Kirksville Designated Market Areas, age 21+. Retail value of prize: $500. Limit one (1) entry per person. 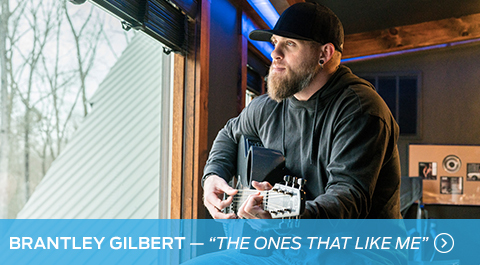 For details and Official Rules, see www.fordmusic.com/brantley-gilbert-sweepstakes-rules. Sponsor: Music Audience Exchange, Inc., 2595 Dallas Parkway, Suite 440, Frisco, TX 75034. Enter by March 31, 2018.